Blog > Facebook > Facebook Follows vs Facebook Likes: Which is Better? When you Like a Page on Facebook, you’re signing up for a specific type of relationship with that Page. You’re telling Facebook that you want to see posts from that Page, and how you interact with that Page – and the settings you select – determines what posts you see and how often you see them. Note: I’m going to be capitalizing a lot of words throughout this post. I’ve found that a lot of people who aren’t deeply invested in Facebook marketing tend to be confused with the terminology, because Facebook uses generic terms quite frequently. Here’s a minor glossary of what I’m including, to reference in case you’re confused. Page: An account separate from a personal Profile, designed to represent a business or entity. It requires a Profile to make, and has access to additional features, like Ads and Insights. Profile: The default form of account on Facebook, aka an account for you as a specific human being. Note that some high profile personal entities, such as George Takei, are using Pages instead of Profiles. Page Like: This is the basic type of entry engagement with a Page; when you Like the page, you’re signing up to see its posts. Page Follow: This is a secondary form of engagement with a Page. You have to have Liked the page in order to Follow it. I’ll be discussing this in greater details. 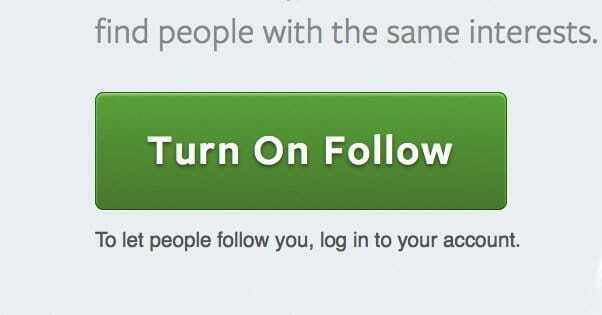 Profile Follow: This is the same type of action as a Page Follow, except it applies to another personal user account rather than a Page account. For those of you interested in Facebook history, this action used to be called a Subscribe, but Facebook changed the name to give it a more positive mental impression. Hopefully, this will help keep you from getting confused with the terminology. I find that a lot of people don’t know the difference between a Page and a Profile, and when people Like a Page they consider those people Followers, which isn’t always necessarily true. Speaking from the perspective of a business Page, people can Like your Page and they can Follow your Page. There is a difference between these actions, and they mean different things. Here’s the thing; a user who has Liked your Page can unfollow your Page without actually removing their Like. From a business perspective, it means that those people won’t see your posts very often, if at all, but they still show your Page in their likes, and you can still include them in the “people who like this page” audience for ad targeting. Liked and See First Following. This is the most valuable sort of user. A Profile can visit your Page and can change their Follow status to “See First,” which will prioritize showing your posts to that Profile above the posts of other Pages and Profiles that interact with them. If I choose to see your posts first, it overrides EdgeRank and makes sure I see those posts. This is, again, all from the perspective of a business. Personal Profiles can have the same levels of engagement, with one difference. With a personal Profile, another Profile can be friends with it, or it can Follow it. So far, this sounds just like how it works with Pages, right? In essence, it’s the same. When you add another Profile as a friend, you are automatically set to follow their posts, and it has the same effect. You see their posts in your feed, as determined by your relationship with them, as measured according to the factors considered by EdgeRank. The difference between the Follow relationship with a Page and with a Profile comes in the “entry fee” engagement. If you want to Follow a Page, you need to Like that Page first. If you want to Follow a Profile, you can just Follow it, no friending necessary. This is very useful for certain people, typically tech writers and high profile artists who don’t want to manage Pages but who still want to use Facebook as a form of marketing. It’s also potentially useful for Verification, but that’s a topic for another article. For that matter, personal Profiles can turn off the option for a friend request. Pages cannot do the same, turning off the option to Like the Page, but that’s fine. No business would want to restrict the ability for users to Like the Page. For Profile friends and Follows, I like to consider it very similar to how Twitter operates. A friend request is a two-way relationship. It’s like when you and another Twitter user mutually follow each other. You see that user’s tweets in your feed, and that user sees your tweets in theirs. Meanwhile, a Follow on Facebook is just like a Follow on Twitter. You Follow an account and you see their posts, but they don’t see yours. This is ideal for those people running Profiles over Pages. A friend relationship being a mutual sharing of posts means that if they accepted friend requests rather than Follows, they would have thousands or tens of thousands of posts in their feed every day. Or, rather, they would have tens of thousands of posts filtered from their feed, because EdgeRank will get very cranky about it and will pick only the most “relevant” posts to show, as determined by its algorithms. As you can probably imagine, this can get very out of hand very quickly, which is why it’s much better for a personal Profile to get Follows rather than additional friends. However, that’s all just talking about Follows versus friends, and that’s not really the focus of this post. For businesses, or really any entity personal or otherwise that runs a Page rather than a Profile, you have to determine what Likes and Follows mean to your business, and what you can do to bolster each number. The first thing you need to determine is how much value you place on Likes and how much you place on Follows. Likes are valuable at a very basic level, but they’re also very over-valued by a lot of businesses. This is because a Like itself isn’t really all that valuable. It’s very easy to get people to Like your page, through ads or through popularity. You can also buy Likes very easily, both fake likes and legitimate, targeted likes. 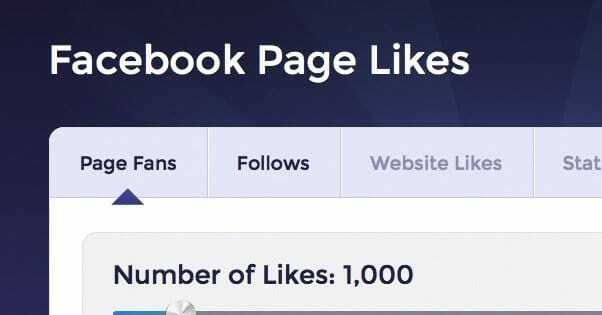 That means if you have 1,000 Likes, you might have the same number of legitimate users liking your page as a page that has 10,000, if they bought fake likes. Follows, again, have three levels. At the lowest level, the unfollow, they’re completely worthless. The people who Like your page but Unfollow it don’t see your posts, and are only slightly more valuable than people who don’t Like your page at all. You can target them with ads, but you need to be careful about it; you don’t know why they decided to unfollow your Page, and you don’t want to have your ads labeled as spam. Follows at the basic, normal level are exactly the same value as Likes, because they come along with Likes. I would venture to say that 90% of the people using Facebook, if not more, don’t actually realize they can adjust their Follow status. They figure they can Like a Page, and that’s it. They see posts. They might miss posts. They might see fewer posts the less they pay attention to posts. They might have some vague inkling that Facebook has an algorithm at work, but they have no idea how it works. Combine this with a lot of the misinformation floating around, and they might have a completely incorrect idea of how things work. Followers that set their Follow level to “view first” are the most valuable of all. These are the most highly engaged people you can find on Facebook. They really like your brand and they really want to see your posts. They also probably have your website bookmarked and visit it whenever they can, and they probably subscribe to your RSS if you have one. They certainly subscribe to your mailing list, if you have one and they know about it. Given that they’re subscribing to you on Facebook, it’s almost certain that they do. The biggest reason why “view first” Follows are the most valuable is because they’re an opt-in within an opt-in. The user has to find your Page on Facebook and they have to be convinced to Like it. They then have to be aware of the ability to change their Following status, and they have to be convinced to change it to the higher tier. This makes them exceptional users in your audience, and thus more valuable than any other Follower or Liker out there. In essence, Likes are Good, but Follows are better, and high tier Follows are the best of all. You can see more about this when you read rants by marketers about Likes. Likes are just an indication of how many people you have convinced to Like your page throughout its entire history, minus the people who have been removed or who have rescinded their Like for some reason or another. It’s a cumulative total, and it’s a very poor indication of how many people actively Like you. Imagine this scenario; you start a website and you immediately go Viral, in some surge, similar to a new product idea like Dollar Shave Club. You get a lot of popularity, but your product or your content drops off over time. A year later, your website traffic has dropped to a meager 5% of what it was at the peak. Correspondingly, your ability to maintain the site has dropped, because your interest – and the profits you make from it – have dropped. Your Facebook Page suffers and doesn’t get much content. You might have over a million Likes on Facebook, but when you post, maybe 1% of those people actually see your post. Of those, very few will actually engage. Many of them have moved on and may not like you any more, or may not remember who you are. You have a very small number of actively engaged fans, despite your very high number of Likes. One thing is certain, though; any user who had set their Follow status to “view first” will be guaranteed to see your post, even if they changed that status a year prior. This makes them your most valuable long-term fans, for coming back after a hiatus or for recovering from an issue with your site. In concept, the “view first” followers are a close indication of how many actively engaged people you have watching your Page. It’s a closer indication of the people who are most invested in your business and your website. Of course, not all of the people who want to be actively engaged with your Page will know about that option to become a close Follower. Many will be limited to the whims of EdgeRank and will have their Follow status set to default. See first Followers, being the most valuable sort of Followers – and thus the most valuable sort of Likes – on Facebook, should be your priority target when you’re marketing. Crazy Egg calls this See First Marketing, and you can read more about it here. Ask. As I said, very few people on Facebook actually know that they can adjust the status of their Follow level, and thus their relationship with a brand Page. If you want more people to prioritize your posts, the first step is to educate. You need to let people know that this is an option, and once you have informed them of that option, you can encourage them to change it. Tell them it helps them never miss a post, but prioritize the value of the posts you create. Contests posts, guides, up to date news, whatever it is you produce, emphasize why your users might want to See it First. Be valuable. This goes along with telling users how valuable you are; you need to live up to those promises. If the content you create is just going to spam their feeds, even if they change to See First, they’ll probably quickly change back. This kind of negative engagement is actually more detrimental than not having those people change at all, for two reasons. First, it’s a hit to EdgeRank for those users. Second, some of them will likely go further and either unlike or unfollow your Page. Both are Bad Things. Now you can get users to make that jump, to get them to prioritize your posts, but will it work? That remains to be seen. You have to actually produce the value that makes users actually click the button, and that can be difficult. 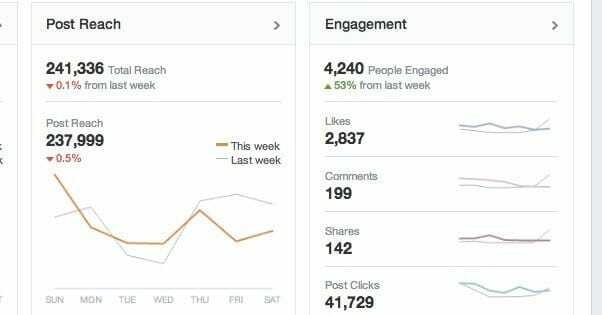 Pull it off, though, and you’ll actually see your post reach skyrocket. Make the jump, take the risk, and the rewards are great. 2018 Update: Are Followers Still King? Actually, yes. Followers remain more valuable than a simple like on your page, for the sole reason that they are more likely to see your content in their newsfeed. For example, you are more likely to see your friend’s content in your newsfeed over pages that you’ve liked for the same reason; it isn’t just something you’ve liked, but it’s a person or a page that you prefer to follow, which tells Facebook you are interested in seeing more of their content. In 2018, with the drop of Facebook reach and engagement, this is more important than ever. Increasing competition means it’s harder to stand out and to appear in your fan’s newsfeeds, so you need all the help you can get. Make sure you’re gently encouraging to follow your page, and produce great and useful content that is likely to be shared. Remember, avoiding clickbait, boring or salesy articles, and spam is going to go a long way to keep your users happy and keep your engagement high. Can a user keep following you page even if they unlike it? I seem to have more follows than likes. Thanks – I found this article as I was noticing that recently, I have people that have ‘followed’ my page. If I look at my notifications, I see that a person has liked my page and I see different notifications that another person has ‘chose to follow’ my page. Is this new – Follow without liking? How does that compare to the above options you discussed. I see on other pages I have that option – I can select ‘Like’ Page or ‘Follow’ Page. Again, thanks! I appreciate this post is old, but this line is wrong: “Page Follow: This is a secondary form of engagement with a Page. You have to have Liked the page in order to Follow it.” You can follow a page without liking it. Hi Kenny, I see this post as a couple years old, but I came across it while googling some key words. So, I started a business page. I invited all my friends to Like my business page. I noticed that they all liked it but nobody followed it. But I also didn’t ask them to follow it, because Facebook didn’t offer me that option, and still doesn’t as far as I can tell. Recently, I went on someone’s page and liked it, but I did NOT follow it; however, it still shows me as having followed it…I guess by default, I followed it by liking it. Can you explain this for me? 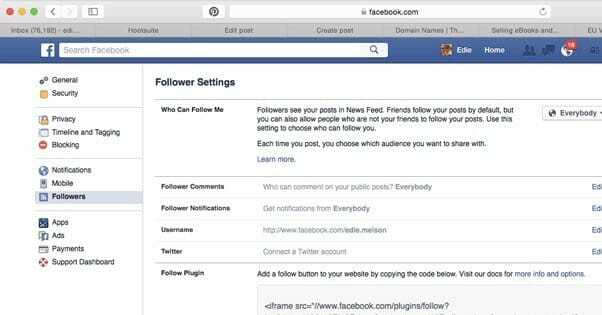 Did the page owner set up her settings to make it so that if people like her page they also automatically follow it by default? Or did I set my settings to automatically follow a page I like? Or what? I have 281 people who liked my page and only 3 followed it, so I think I am doing something wrong.